The US-led Coalition has released a new assessment of civilian casualties from its airstrikes in Iraq and Syria, claiming 624 people were “unintentionally killed” since the start of the campaign against Islamic State in 2014. “To date, based on information available, CJTF-OIR (Combined Joint Task Force – Operation Inherent Resolve) assesses that it is more likely than not, at least 624 civilians have been unintentionally killed by the Coalition since the start of Operation Inherent Resolve,” the Coalition said in a statement on Friday. There are 23 more people dead compared to data released by CJTF-OIR last month, which acknowledged 603 civilian casualties. In June, “the Coalition completed the assessment of 132 reports, of which 121 were assessed to be non-credible, and seven were assessed to be credible, resulting in 21 unintentional civilian deaths. Four reports were assessed to be duplicates of previous reports,” the statement read. “Additionally, the Coalition began the assessment of 404 historical reports of possible civilian casualties received from Airwars.org,” the statement added. Airwars is a UK-based group that monitors airstrikes and civilian casualties in Iraq, Libya and Syria, based on open-source reports and military claims. The data collected by the group indicates a far larger death toll than the official figures, with 4,354 civilians killed in the bombing campaign by the US-led coalition since June 2014. 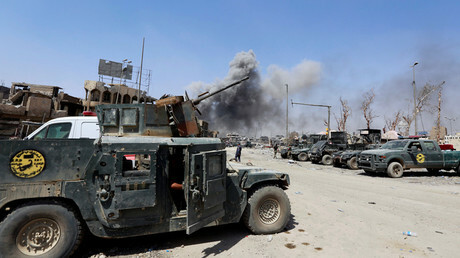 Airwars recorded a sharp increase in civilian casualties after the Iraqi forces, backed by coalition planes, launched the operation to liberate the last Islamic State (IS, formerly ISIS/ISIL) stronghold in the country, Mosul. According to the UN, over 8,000 civilians have been killed or wounded in Mosul, with the city almost leveled to the ground during the operation. Many deaths are blamed on IS fighters, who executed those trying to escape and used civilians as human shields. But the US-led coalition has also been accused by human rights groups of excessive airstrikes and failing to protect civilians. 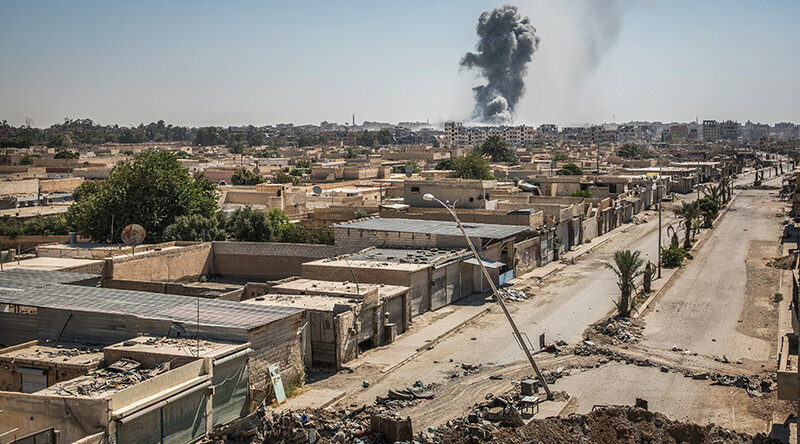 The new spike in civilian casualties was reported in June as US-backed forces began the assault on Islamic State’s de facto capital in Syria, Raqqa. 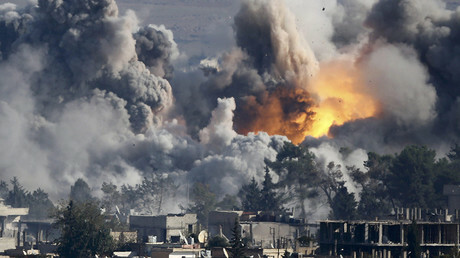 At least 173 civilians were killed in the city last month by air and ground strikes, according to UN estimates. The operation against Islamic State is highly politicized in the US and it’s “no surprise that the Coalition is going to want to underplay the casualty numbers for civilians,” Patrick Henningsen, Geopolitical Analyst for 21st Century Wire.com, told RT. “If you’re in the US, it’s all about the theatre of what the US is achieving, whether it’s under president Obama or president Trump. And everything is viewed through that weird kaleidoscope in the US and it has nothing to do with what’s going on the ground,” he said. The military is also using special politically correct language in its reporting on civilian casualties in an attempt to mislead the US public, the analyst pointed out. “We’re talking about ‘friendly fire’ or ‘collateral damage.’ And what Americans don’t understand because they haven’t had to face it on their own territory is that one man’s ‘collateral damage’ is another man’s wife and children,” he explained.